When it was revealed that Obama put down in one of his literary booklets that he was born in Kenya in the early 90’s, one has to come to the conclusion, Barack Obama is the original birther. So does that mean that Obama doesn’t believe his own birth certificate is real? Who would have thought that both Obama and Donald Trump believe that Obama was not born in Hawaii? Wisconsin could be a harbinger to what is to come. For one, the exit polls had this at a dead heat only to find Walker winning by a larger margin than his previous election in 2010. So are polls underestimating conservative strength? If I was an Obama pollster, I may want to pursue that question. The left basically pulled out all the stops on this one. For over a year and a half, the left has done everything to bring Walker down and stop his reform. As I mentioned in a previous column, the Wisconsin strategy began with the premise, “We won’t let Walker govern”, and when that failed, increased the number of recalls. In the end, Walker won because his ideas were taking hold and working. The left started a war in Wisconsin and the right ended by out organizing and raising more money after a slow start in the beginning of 2011. The real reason Walker won was that his reform worked and people simply got tired of the constant elections and politicking the left began. The left made this a national election and now Obama is finding himself defending a state with a “progressive” history that he won by 14 percentages point. 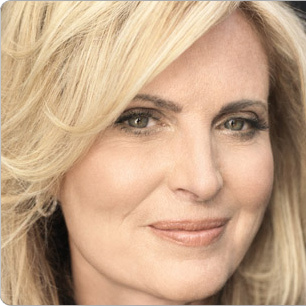 Mitt Romney's secret weapon may be his lovely wife Ann, who has shown grace in this campaign. When Hilary Rosen attacked Mrs. Romney as being out of touch with average women, she simply smiled and reminded America that being a mother of five boys can be hard work. Many women understood and Rosen was routed. Mrs. Romney is a cancer survivor and now living with MS, and in public, there is something about this woman that makes you think, “Yeah, I can see her as a first lady.” Somehow, I don’t get the impression that Ann will nag me to eat my broccoli. In New York, the nanny state turned yet another page as Mayor Bloomberg decided to end the big Gulp in New York, and to show what being out of touch really is, suggested to business owners that you can always charge a Big Gulp price for a 16 ounce Soda. As my daughter noted, “I live in one of the most expensive cities in American and this guy is raising the cost of drinking a smaller soda. Thanks, but no thanks.” Of course, Mrs. Obama joined in to support the Mayor as she continues to nag the rest of us what to eat while her husband sneaks a cigarette or two. Bill Clinton decided to go rogue saying while he really doesn’t want Romney to be President, his work with Bain was alright by him and oh yeah, maybe in a weakening economy, we should extend the Bush tax cuts. He added that next year we can wait to make a budget deal. Yeah, Clinton sort of walked this back but with political friends like Clinton, who needs political enemies? So does Hillary have her Clinton for President 2016 already printed up? One gets the impression that maybe Bill would not be all that upset with an Obama loss. Currently there are 27 experts who have certified Obama's birth certificate to be a forgery, his own attorney in court conceeded it was forged. Sheriff Joe has certified it a forgery, so what is the GOP DOING ABOUT IT?